A Sherman Oaks Personal Injury Attorney at Koron & Podolsky, LLP can help you after a slip & fall. Slip and fall accidents can damage more than just egos. In fact, while slip and falls can be embarrassing, they can also result in serious physical injuries, including bone fractures and head injuries. In the worst cases, these injuries can leave people with permanent impairments – some of which may negatively impact their quality of life forever. At Koron & Podolsky, LLP, our Sherman Oaks attorneys understand how devastating slip and falls can be. That is why our lawyers are here for victims, ready to advocate their rights and help them obtain the compensation they may deserve. Private settings, including private residences. 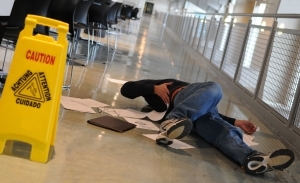 Let’s discuss your options for financial recovery after a slip and fall accident. To get professional advice from one of our trusted attorneys, call us today at (818) 380-3077. You can also email us via the contact form on this page. From Sherman Oaks, our lawyers provide superior representation to people throughout Los Angeles County, Orange County, Ventura County, and the state of California.